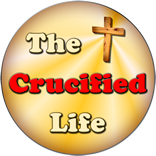 HomeThe Crucified Life Ministries BlogAre You Self-Righteous Or “God Righteous”? Man tends to think he is always right, not based upon the sure foundation and Truth of God, but often based upon his emotions and feelings of the current situation at hand in his life. The unregenerate man is led by his emotions while the regenerate man is led by the Spirit of God that lives inside his quickened heart. Emotions are not trustworthy, they are fleeting, and changing at the slightest contrary wind blowing about. The pathway based upon the righteous standards and commandments of God are immovable and set upon the foundation of God’s Word which never changes or is immutable. 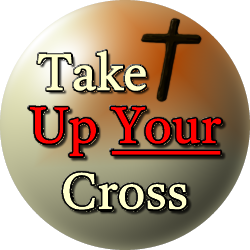 (Hebrews 13:8). God peers into the heart, or very center of a man’s soul, to weigh the spiritual condition of his heart against His holy standards and patterns laid out in His Word. God always knows the spiritual state of man’s heart: whether it be healthy and robust and producing robust fruit, or dark and wicked, drawing flies, aligned with the god of this world. What spiritual condition does God see flourishing inside your heart?